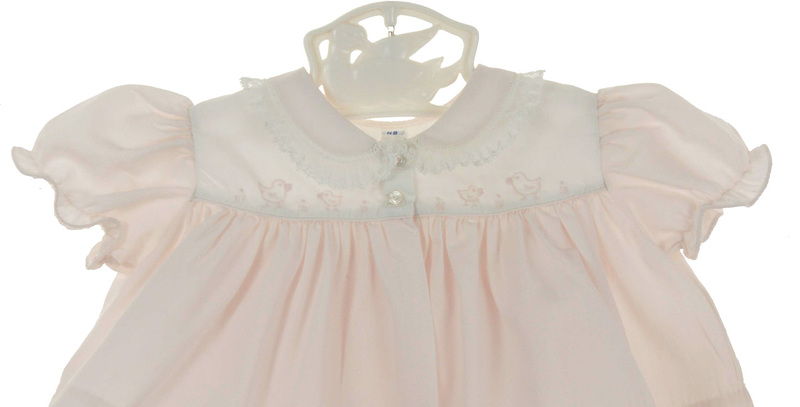 This darling little pink and white cotton blend "footie" style set was hand embroidered in the Philippines. 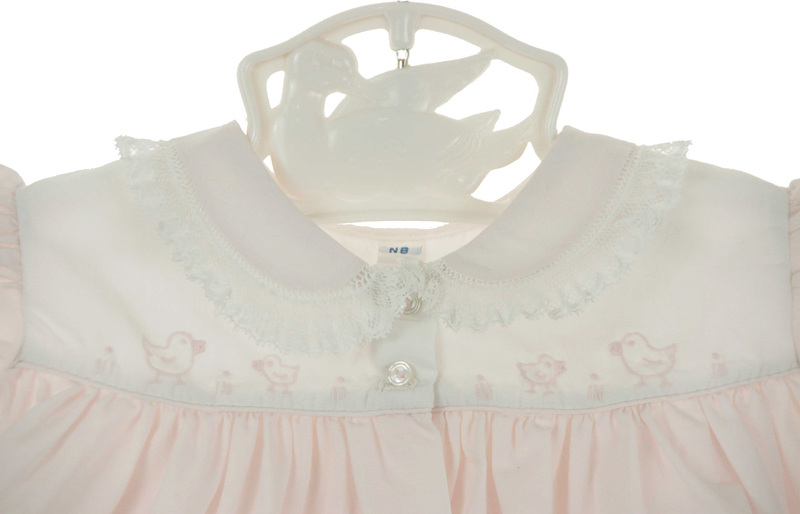 The pink top features a white yoke embroidered with pink chicks. The short puffed sleeves are finished with elasticized ruffles. The pink collar is edged with entredeux and white lace. This swing style top has a front buttoned closure. The pink pull-on footed pants have an elasticized waist.